A month ago, Marvel sent its comics fans into a flurry of speculation when it dropped a teaser dubbed Generations, hinting that original legacy characters like Tony Stark, Jean Grey, and Captain Mar-Vell could be coming back alongside the heroes that have taken on their mantles. Well, now they’ve just confirmed that indeed that’s exactly what’s happening. New details were revealed through ABC this morning, and it sounds like it represents some huge changes for the Marvel universe going forward. Like, say, see all those classic versions of heroes in that art up top—even the dead ones, like Jean Grey, Logan, and Bruce Banner?—they’re all back. And it’s not an alternate universe, or time-travel. They’re really back. [But] the answer might be different for each character. There’s potential for friction, there’s potential for team-ups. Minimally, it’s something that’s going to require food for thought and introspection on the part of every character. That’s part of the goal when we were sculpting it. It sounds like this is going to involve some pretty major shake-ups for the Marvel Universe either way. Seeing these legendary incarnations of heroes return is definitely something that’s going to draw a lot of attention—and let’s be honest, there was no way Marvel wasn’t going to bring major characters like the original Hulk and Wolverine back to life eventually. However, hopefully their return does not ultimately end in diminishing the diverse variety of heroes Marvel has created with characters like Sam Wilson, Kamala Khan, and Laura Kinney with these mantles. We’ll have to wait and see what the future holds: Will all the returning heroes stick around after the event? Will there be simultaneous Hulk and Wolverine comics being published, much like there have been multiple Captain America and Spider-Man titles? What about the rest? At the moment, there’s no reason to suspect the worst, because all we know for certain is that Generations is bringing back some of Marvel’s biggest legends. However, I’d be lying if I weren’t a little apprehensive. 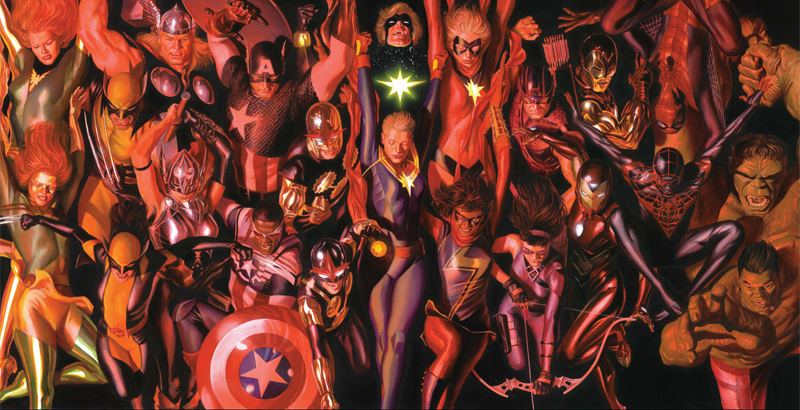 What The Hell is Marvel&apos;s Generations?